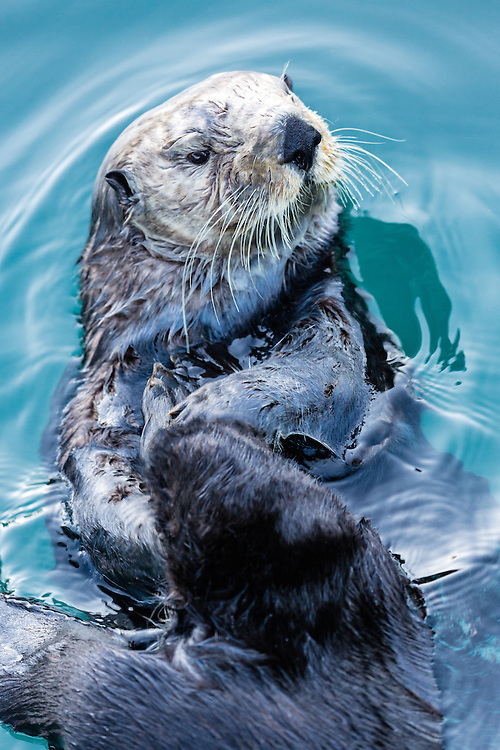 Sea Otter (Enhydra lutris) eating in Seward Boat Harbor on the Kenai Peninsula in Southcentral Alaska. Spring. Evening.